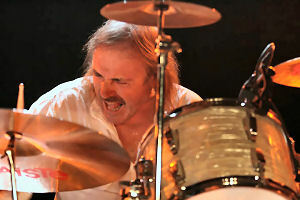 John Coghlan is best known for his work with Status Quo but apart from a self imposed drum free period, he”s been playing constantly since leaving the band. 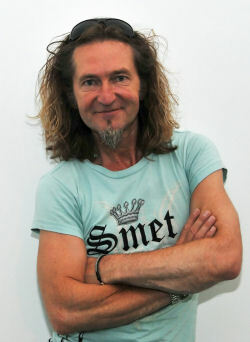 Bob Henrit went and had a chat with John about life, shuffles and getting back together with the original lineup. Where did you grow up JC? I grew up in South London which was like Crystal Palace, Upper Norwood, West Norwood and that’s where I popped into the world. Dulwich Hospital was where I was born in 1946. So I’m guessing you’re over 21 now! I am exactly over 21, in fact I’m 65. 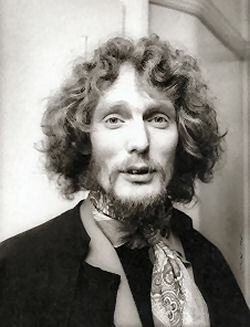 I’m a war baby, that popped into the world in 1946 on the 19th September. Working it backwards, the war finished in 1945 so there you are. I can still remember barrage balloons and rationing so I’m officially an old man! Did you go to school in Dulwich? Yes I did. The first primary school was in Norwood, the biggest school was Kingsdale Comprehensive which was a bit modern for its time. I must admit I didn’t really like school. I was good at English and geography but the rest of it was a nightmare. But we have to go to school and we have to learn something. When did you dispense with formal education? In the early Sixties – I was asked to leave so I did. My parents were great dancers and they used to take me to the Crystal Palace Hotel where they had proper dance bands playing and I used to sit there and watch the drummer playing and I loved it. My dad told me that, when the band had a break, I walked up behind the kit (and I don’t think I was tall enough to sit on the stool) pick up the sticks and start bashing his kit. He probably didn’t think that was a very good idea and he asked me to leave! 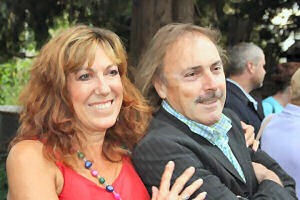 But I think that looking back on it, with my parents going dancing, that’s where the rhythm came from. My relations weren’t violin players, piano players, drummers, bass players, nothing like that. So really I taught myself. The first place I ever played was when dad got me a little drum kit, I think it was a Broadway and I ended up playing down the Two Towers Pub, West Norwood. And you probably weren’t old enough to be in there? I’m guessing you got the Broadway kit, but you wanted to add to it so eventually you got hold of another tom. Yes, I got a sixteen floor and made the kit a bit bigger. In the early Sixties you’d go and see another little jazz drummer somewhere and it was weird in those days because he was a jazz drummer, he had to be really clever, really technical, so he’s got to be better than me. I don’t know, does it really matter? It’s a case of horses for courses. If you’re playing in a band like I did, you’re shuffling all night, but there’s an art to shuffling, an art to playing jazz, an art to playing all different stuff and as far as I’m concerned I think I did my apprenticeship and I think I did it well. I know you were in the Spectres first of all and we met around 1966. So you were called the Spectres first of all. When you were involved with Apollo Music and Lionel Bart? When Pictures of Matchstick Men was released had you changed to being Status Quo by then? We had a manager and we couldn’t find a bloody name for ourselves, so he came up with this name The Status Quo, you see. We went “Oh we don’t like that”. But then at the end of the day, what’s in a name and we thought we’d keep it. Then we had a hit with Matchstick Men in 1968 and went on Top of the Pops, which in those days everybody wanted to do. It was the next step up and later on we dropped the “The” and just became Status Quo because it was cool. 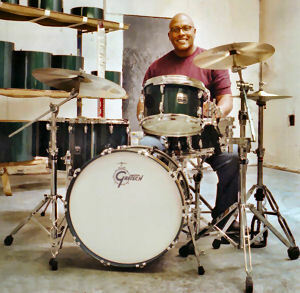 Did you go to drum lessons when you first started or have you taught yourself completely? 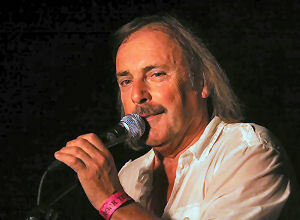 Well I thought I did it myself, but when Status Quo did a summer season at Butlins in Minehead, as all people did in those days, there was a guy called Lloyd Ryan who played in the orchestra in the theatre. 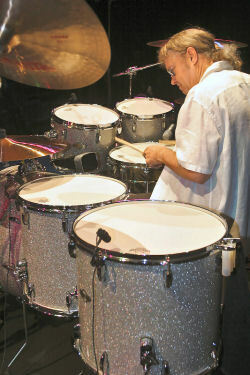 I used to watch Lloyd play and I thought he was a great drummer and he taught me a few things. Actually I learnt my craft by just listening to records, especially lots of Tamla drummers, ‘cause I love that. I believe the drummer’s job is to play the song, keep the time and make the band swing, in my estimation. Don’t do drum solos in guitar solos. If you’re gonna do a drum solo, please leave it to the end of the show. You talked about shuffling, but the first Quo records weren’t shuffles at all were they? No they weren’t. 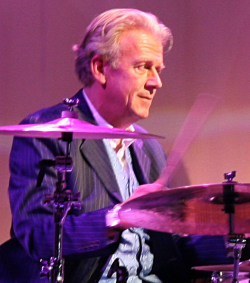 Matchstick Men was produced by a guy called John Schroeder and that was at Pye in Marble Arch and I distinctly remember John saying to me, ”You need to give me a bit of time here” and I thought I was doing my best and then he said: ”Can you play like Mitch Mitchell?”. I thought, well I’ll try my best, but then I thought I’m not Mitch Mitchell I’m John Coghlan and I’m doing it my way. This was at Pye Studios? Was that the very first record you made? I don’t think it was, I think we did, as the Spectres – I think I’ve got this right without looking at the book – we did a version of Shirley Bassey’s “I Who Have Nothing”. We did a great arrangement of that. But we never give up and I think that’s why Status Quo eventually became successful, because we enjoyed playing together so much, we didn’t give up. You said the record slows down. You sure it wasn’t an edit? I’d hazard an opinion that John Schroeder as a sixties A & R man, was quite capable of doing an edit without telling you, wasn’t he? 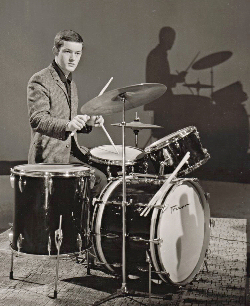 What drums were you playing in those early days with Pye? 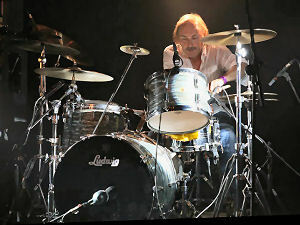 That would have been the Ludwig Super Classic that I’m now using again in 2012. I sent it away for renovation and it sounds great. Who worked on it for you? It was a dear old guy down in Reading an old jazz drummer. He took it home, cleaned it all up, put new heads on it, painted the inside of the shells white. It was such a fantastic kit and when he brought it round to my house, I put it in the music room and didn’t use it for a few months ‘cos I was using the green Yamaha at the time. I got it all out and thought “Oh my God”. I actually lost the Ludwig snare drum many, many, many years ago, I don’t know how. But the two toms and the bass drum are my Sixties kit and it sounds great and I’m really happy with it. How many kits do you reckon you’ve had over the years? 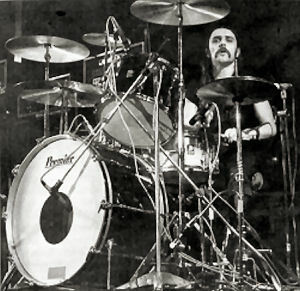 I did actually own a Louis Bellson Slingerland double bass drum kit, because there was a guy, Peter Brightman, who was going to manage me and he actually did sponsor Louis Bellson for a tour many years ago. 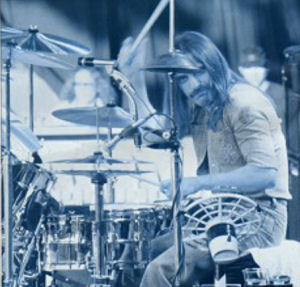 The story is that Louis Bellson gave him the kit because allegedly Louis didn’t sell out. Peter Brightman sold the kit to me and I took it back to the Isle of Man and I kept the kit for many years. It was the best tuned kit I’ve ever played in my life, it was unbelievable. I had a WFL kit, which I think you brought to my attention…. Mainly because I sold it to you and it was blue glitter. It was a fabulous set, completely original with nickel-plating. Yeah, WFL are lovely drum kits. I did play it a couple of times, it was wonderful. But it’s like everything else, like old cars you collect them and move them on and wish you’d kept them. But we can’t keep everything. When you left The Quo was it because of musical differences? I think what it was, I own up to this, as you know I was with the band nearly 20 years and we never stopped. It’s the old story, if we weren’t rehearsing we were recording, if we weren’t recording we were touring. We know how rock ’n’ roll works, too much drink, too much of this, too much of that…. I got fed up with it and one night we were in Queen’s Studio in Switzerland. Allegedly I lost the plot and I had too much to drink and allegedly I was supposed to have kicked the drums over, I was grossly upset that Colin Johnson said to me that I was on the brink of a nervous breakdown. It was silly because I think it was a bit of everything. Personally, I hate drugs, I don’t take drugs, I do like a drink. Ian Jones, who was the tour manager, walked in my room in the morning, after we’d cancelled the session and gone back to the hotel and said: “After last night’s problem the band have decided to use a drum machine.” Pete Kircher was evidently in the loop and coming out to replace me. Some young drummers would have cried and probably slit their wrists but I had quite a release. I remember we took off to get back to London and I was on this plane thinking, ”Oh well I’ve just lost my job. I’ve left, or they’ve sacked me, I’ve left”. Whichever way you look at it. I was on this plane and I thought, (sigh), I” don’t have to play ‘Forty Five Hundred Times’ anymore”. It was a song, that went on for about twenty five minutes. It was a very, very fast shuffle. You know when you are completely fucked, you are very, very tired, you don’t know where you’re playing, you’re knackered, it’s your own fault staying up all night. We landed at Heathrow and I met Colin Johnson and Alan from our office and he said: “What’s happened?” and I told him and got on another plane back to the Isle of Man and went home. I’d forgotten you were living in the Isle of Man then. I lived in the Isle of Man. I’ll tell you what, the Isle of Man, despite what some people think of it, is like Jersey or Guernsey. You’re cut off, especially when the weather’s bad, there’s no aeroplanes, no ships, but it was a great, great release for me, because what I needed was just peace and quiet. I didn’t touch a drum kit for a year, although my house was full of drums. When I say I didn’t touch a drum kit, I didn’t play [with anyone]. You didn’t do any gigs. No. It was a release for me and it did me a world of good. I think it was a shame because lots of fans who I still see these days were quite upset that I didn’t stay, but I think it did me, personally, a lot of good to leave. Get out of there. Did you immediately do Diesel? I remember doing a TV show. Colin Johnson got me to do this Saturday morning thing with Noel Edmonds. “Here’s John he’s going to teach you how to play the drums”. The producer, director, they got two drum kits on, one for him to play as well and he said ”I’m not gonna do that” and I was forced to play a drum solo on a Saturday morning, can you believe that! Someone said: “We saw you do it, we liked it, but we could tell you were nervous”. It was really being put on the spot and I think then he put out the PR that I was going to do The Diesel band with Jackie Lynton and Mickey Moody. In fact that was great fun. There was never gonna be a permanent band, but it was good fun at the time, because it was totally different and I just needed that release. Eventually Ray Minhinnett and John Verity joined. Good guys, good fun. That went on for how long? That went on for a couple of years. I did some other things. I did the Partners in Crime album with a guy called Ray Majors on guitar and there was a wonderful singer Noel McCalla, I think he’s singing for Manfred Mann at the moment. I was asked to do a thing with Chas Hodges, Roy Wood and Phil Lynott and it was ”We Are the Boys Who Make All the Noise” and again it was really good fun. We did that but there was no arrangement to do any gigs, which was a shame and I do feel that we were supposed to do some television with it for CBS. I believe this is right, Chas Hodges’ manager didn’t want him to do any television with us, which I thought was a bit strange. But, hey, you know that happens. Then you did JC’s Quo, as in John Coghlan’s Quo. That’s been ongoing for some years now hasn’t it? It’s been going for a long time. I play with some lads, Baz Barry, Pete Knight and Mick Hughes and they’re all from the Reading area and they’ve got [their own] band called Predatur and they write a lot of their own stuff, very much like early shuffle Quo. The great thing about it is, there’s not one of them is a lookalike, I hate all this tribute crap. What they do is recreate the early sounds that Status Quo had. I’ve been working with them quite a lot and we go to France and Holland and play out there. We’re doing the Quo Party soon. We normally headline it. Is there any possibility you’ll ever be working with Quo again? We actually all played together in November 2011 at Shepperton Studios: Alan Lancaster, Francis Rossi, Rick Parfitt and me. Quo normally rehearse there, you see and the gear was set up and Alan G Parker who was the producer, or the director, of this new film suggested we all get together for a jam and we did. I took my Ludwig Super Classic because that’s what was on the early Matchstick Men and we just jammed for an hour and a half of bits of songs, half of this song, half of that song and for me it was great because it was like I’d never left. So this film’s coming out? I think at this moment in time it’s called “Hello Quo”, whether that’s gonna be the actual name of the film I don’t know. Were you surprised to get the call? For me it was great because I’d often thought we should do something. There was a lot of time invested in the band by you four. Yeah, I did it for about twenty years and the way I look at rock ’n’ roll is, whether you’ve got four in a band, five in a band, six in a band, if you all once played together and you’re all still on this planet, at least get together for one occasion even if it’s for one show. We did “Forty Five Hundred Times”. I think we did “April, Spring Summer and Wednesdays”, I think we possibly did “Caroline”. I wouldn’t say time was short, but what happened was it was riffs, it was a jam basically, let’s all pitch up. We all did our gig and then we left. The only people in the studio was all the road crew from Quo, my wife Gillie, there was Alan Lancaster’s wife Dayle, a couple of drivers and a PR man and that was it. There were loads of cameras, five or six cameras filming and that’s going to come out in the movie as well, so I think the Quo fans are going to love it. Do you know when the film’s out? The film’s coming out allegedly sometime in October. Now I’m going to ask you, the big, big question. Are you likely to tour with them, because it seems like you’ve got an entity in this film, so there’s an opportunity and a reason for the original Quo to do a tour, is there any possibility of that? Well I think it’s not in the public domain yet, I must get that in first, but I think if it happens, which I think personally it probably will, it will definitely be next year. But it’s not in the public domain, so if it happens and when it happens, it will be released at the appropriate time for magazines and television. So there’s a possibility it might happen and you’d like it to happen. So how are you getting on with the guys? Well we get on fine. D’you know it was amazing, as I got the call from Lance who’s their drum tech asking if I wanted him to set up a kit on the drum riser. I said ”Look, because there’s a bit of nostalgia here, I’ll bring my Ludwig”. And we set that up, because, whether we were going to play Matchstick Men or not didn’t make any difference, that was the first kit that was on television in 1968. Is it a four piece? Yea, the same thing that Ringo had, with just a few more cymbals. I set that up with Lance, then Alan Francis and Rick turned up and we all hugged each other, it was wonderful. It was great. We had lots of photos taken inside the studio and also outside. I can still remember it was November and it was bloody cold and we were all huddling together outside and the photos were out in the newspaper, you probably would have seen that. But every time I do a little gig a lot of Quo fans, come up and ask me if a reunion is ever gonna happen. I think it should and you’ll have to come along.